If there’s one thing you don’t want to encounter in your home, it’s damp. That musty smell, the feeling of being a little wet in the room, maybe the unpleasant sight of black spots on the wall. What most of us don’t realise is that there are various types of damp with three being the most common in homes – rising damp, penetrating damp and condensation. But what causes them and what can be done to stop them? There are three types of damp that damp experts most commonly find when they visit homes. The three have different causes and solutions although several overlapping symptoms and problems that they bring. Top of the list of causes of damp in homes is condensation and it is the one that seems the most innocent, the least likely to cause problems. 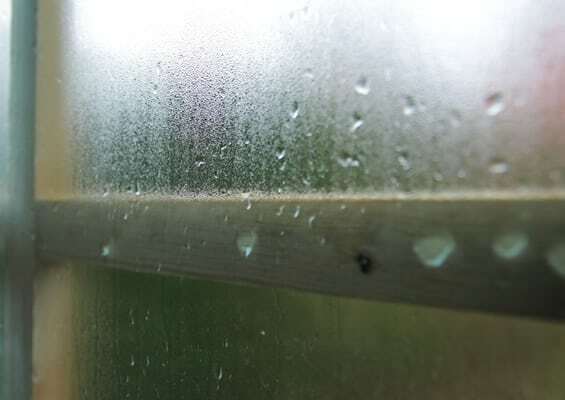 Condensation is caused when moist air hits cold walls and releases the moisture inside it. It is most common in the winter when walls and windows are cold, and the heating is on but can happen at any time of the year. Condensation can be made worse by problems with ventilation and a heating schedule that is very on and off. Removing chimneys and energy saving measures such as double glazing windows can help with energy efficiency but also increase the chance of condensation by removing possible ventilation sources. Rising damp is where groundwater is absorbed by the bricks of the house, allowing it to move upwards. This is a natural process but most of the water is stopped by a damp proof course or a membrane. A damp proof course is a horizontal strip made from materials such as plastic or bitumen that are found in walls around 15cm above ground level. A damp proof membrane is laid under a concrete floor and is connected to the damp proof course. Older buildings sometimes don’t have a DPC or it has stopped working over time due to the materials used. Most newer houses will have one as they are now part of the building regulations. However, if the DPC fails, then you can get rising damp. Penetrating damp happens when water penetrates through a weakness to internal areas of the house. It is most common in higher areas such as walls and ceilings then moves horizontally rather than vertically as with rising damp. 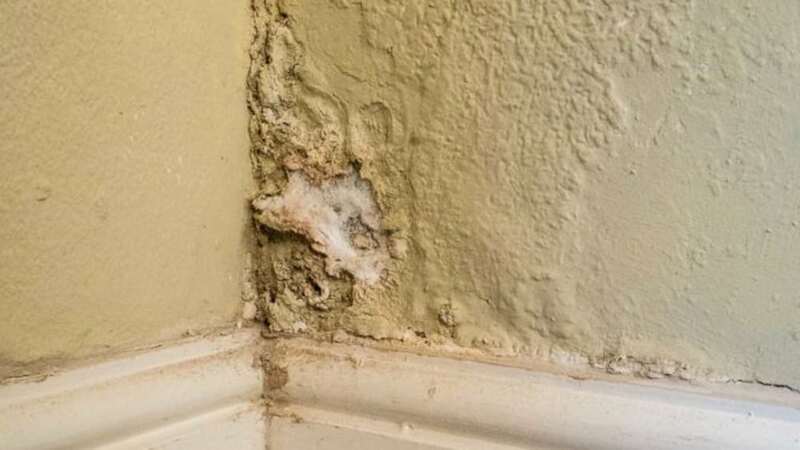 Most common causes of penetrating damp are structural problems. This might be a leaking guttering or a crack in the wall that allow water into the house. It can also be caused by leaking pipes. Diagnosing what type of damp you have is the first step in dealing with the problem. What needs to be done depends on the problem and each damp issue has its own course of action – which can also vary depending on the property. If the problem is that the damp proof course (DPC) isn’t doing its job properly, then the next thing to do is look at repairing it. An expert in damp proofing will be able to assess what is already in the house and make recommendations on how to improve it. There are different course depending on the age and construction materials of the house. Options include physically cutting into the building and replacing the DPC – this is often done when there is construction work taking place. Chemical DPC can be injected into the walls but isn’t always ideal for older buildings. There are also other treatments that a damp expert may recommend depending on how your home is built. The key way to handle condensation in the home is to improve the ventilation. If the problem isn’t too serious, this can be done as easily as opening windows and ensuring air vents are clear and can work properly. Other steps might include adding ventilation panels, extractor fans or loft ventilation to help improve the flow of air and prevent condensation from building up. Grills added to redundant chimney breasts are another step that may be considered. The key to dealing with penetrating damp is to stop whatever weakness is allowing the water into the house. This might mean repairing guttering, patching cracked walls, replacing roof tiles or any other step that remedies where a weakness exists. Once water can no longer get in, other steps can be taken to solve the damage that has been caused. This might include special paint or plaster that can handle damper conditions as well as steps to dry out areas and remove black mould. At the heart of all damp treatments is the need to stop things getting worse. Black mould is one example of worse – a toxic fungus that grows in damp conditions and can cause health problems or aggravate existing conditions such as asthma or respiratory problems. Other problems include wet and dry rot which can affect the structural timbers of the house and other materials, causing devastating damage. Woodworm is actually a series of beetle species that bore into the wood when conditions are moist enough and can also cause a lot of damage. By dealing with the dam problem as quickly as possible, you reduce the risk of these serious problems developing in your home and get things back to a healthy, safe condition. If all else fails, please see our explainer video.